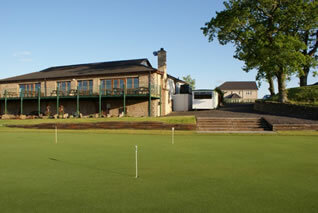 Ballumbie Castle Golf Club clubhouse is designed to welcome members and visitors. Visitors are treated as temporary members and are welcome to use all the facilities on offer. With a busy restaurant and local housing nearby Ballumbie welcomes everyone. We hope you take the time to use our facilities and enjoy the whole experience. We run social events almost on a monthly basis ranging from Steak Nights to Karaoke Nights where even the bar staff grace the stage. 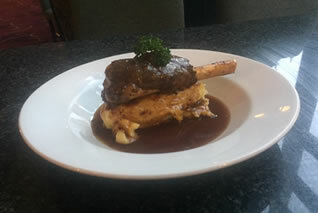 The Ballumbie Head Chef and Kitchen Staff have a varied menu along with daily specials running all year. Ballumbie also has a Carvery every Sunday which is always busy with the locals. Book a table to avoid disappointment. The Club House is available for private functions. For info please contact us here. From succulent steaks and brilliant burgers, to magical macaroni and perfect paninis, our menu has it covered. Home made delicious food at great value. Perfect whether you are popping in for a quick lunch or for an evening meal with the whole family. 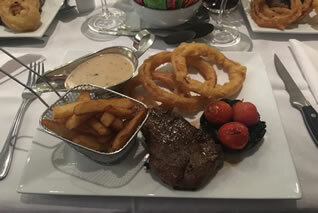 Call ahead to book your table and also look out for our special offers and evenings such as steak nights or Sunday carvery. Our pro shop stocks many well known golf brands with a range of equipment and golf wear available. We are always adding new stock and building on what is already an existing part of the business. Some of the current brands we stock are listed below. We also offer a price match in the pro shop. Ask inside for more details.